How can South West swimmers be protected from sharks? ‘I don’t think drum lines will apply in WA for this summer, and probably maybe not again,’ Mr Barnett said, after the Environmental Protection Authority last week recommended against the lines of baited hooks because of uncertainty about great white shark numbers in WA and SA waters. A State Government desktop survey estimated 3400-5400 adults of the threatened species were linked to seven fatal attacks in three years but scientists’ genetic sampling said about 69. The EPA’s test of drum lines’ environmental impact was peer reviewed by CSIRO chief scientist Barry Bruce, after 6751 public submissions and two petitions with 25,000 signatures were received. Mr Barnett has hinted that he may ask Federal Environment Minister Greg Hunt to change rules so Fisheries officers have the immediate power to kill a ‘rogue’ shark off a beach, particularly in the South West. The Premier said it was a ‘contradiction’ that drum lines and lethal nets could still be used in NSW and Queensland but he accepted the EPA’s recommendation, which the Government would not appeal. He said helicopter patrols, surf lifesaver training and equipment and swimming enclosures at potential sites had made Perth beaches ‘as safe as they could be’ but he gave no commitment to the Shark Eco Barrier being investigated by Cottesloe Council. Greens MLC Lynn MacLaren criticised Mr Barnett for using a ‘1930s’ notion’ of ‘rogue’, which the Government’s shark safety website also debunks. 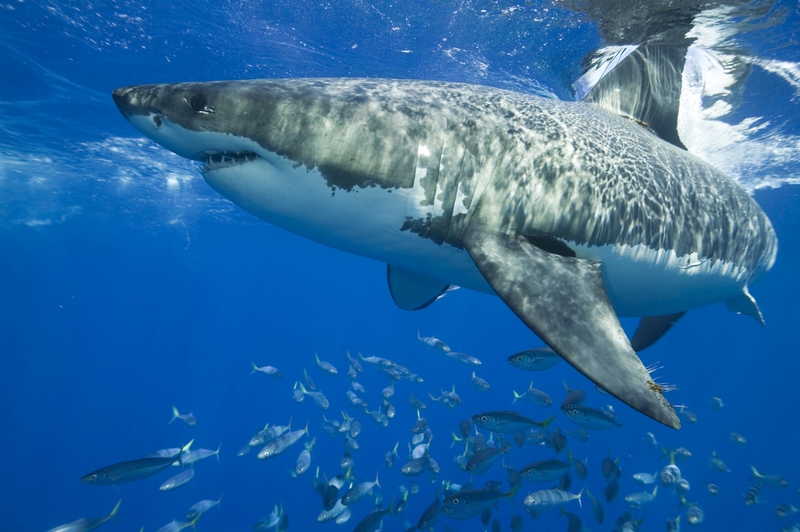 Ms MacLaren said science showed great whites swam more than 100km daily, so killing one or several sharks did not ‘substantially reduce’ risk and ‘genuine’ protection required enclosures, more personal and surfboard shark repelling devices and greater patrols. NoWAsharkcull founder Natalie Banks said drum line opponents were ‘ecstatic’ about the withdrawal, which was not expected. Mr Hunt’s spokesman said that the EPA’s report, department advice and public submissions would be looked at ‘very carefully’ and a decision would be made on the impact to threatened and migrating species.